Ideally located in Rovey Farm Estates, this tri-level home offers plenty of room for gatherings and parties. As you walk up the steps you enter the kitchen featuring light maple cabinets and stainless steel appliances including a gas stove. It features six bedrooms which one could be used as an office. The ample family room has a built in entertainment center and built in surround sound perfect for entertaining. In the master bathroom you have dual vanities with a garden soaking tub, separate shower and huge walk-in closet. The backyard features a covered patio, an elevated patio, lush green grass, and a RV gate. Keep your cars and toys out of the sun in the three car garage. 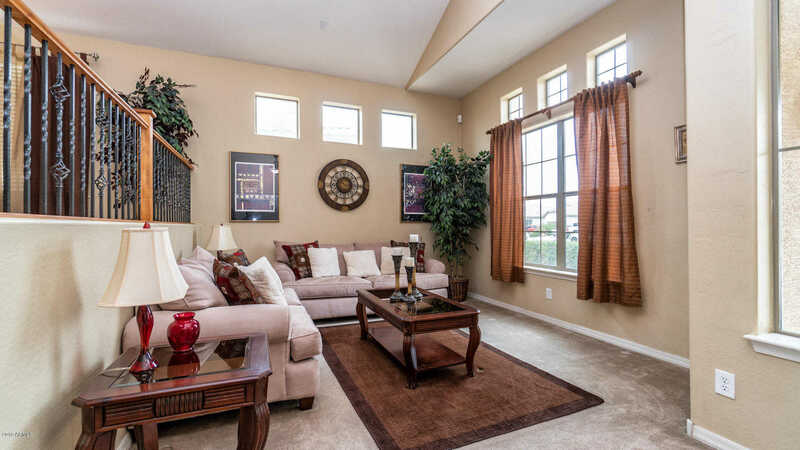 It’s in close proximity to Westgate Entertainment District, Top Golf, and Desert Diamond Casino. Directions: North on 83rd Ave. West on Emil Rovey Pkwy. North on 86th Ave. West on Morten Ave. Approximate size: 10833.00 sq. ft. Please, send me more information on this property: MLS# 5893517 – $375,000 – 8609 W Morten Avenue, Glendale, AZ 85305. I would like to schedule a showing appointment for this property: MLS# 5893517 – $375,000 – 8609 W Morten Avenue, Glendale, AZ 85305.